Open Car Carrier vs. Enclosed Transport, sometimes it can be a difficult decision. Some companies have the option of transporting vehicles in an open or enclosed carrier. Do not be overwhelmed by this. 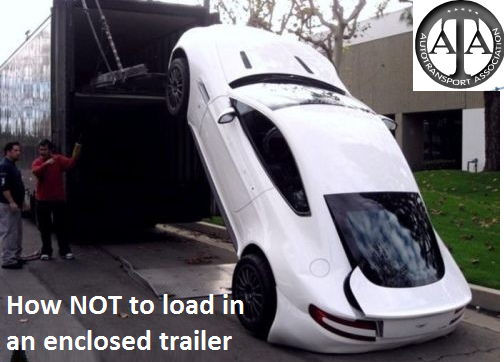 If you are shipping a luxury car, the enclosed trailer adds extra protection for the vehicle. However, if you are shipping an ordinary vehicle, an open trailer may be a good option. Open trailer shipping is around 60% cheaper than an enclosed trailer. The main difference between an open vs. enclosed transport is that an enclosed carrier offers extra protection against nature elements such as: dust, air, snow, sun etc. Big vehicles may be quoted a bit more costly compared to smaller vehicles since they can take up to two spaces on the trailer. Luxury or classic vehicles transport may cost more since they need special care and handling. Be aware of your delivery options, terminal to terminal or door to door. Remember that car shipping companies may be using big trailers that can hold up to 9 vehicles at a time. Because of their size they may not be able to access all of the residential places, please be understanding. Usually door to door service has an additional charge. Double check the transporter’s terminal address, this way you can pick up the vehicle as soon as it is delivered to the terminal. Check out the each company’s profile. Pay the carrier as soon as you know which date you would like the vehicle to be shipped as this ensures you have a reserved spot on the trailer for your vehicle. Car shipping companies are likely to request for payment upfront. Check the company’s payment methods and insurance details. They must have 3 types of insurance: Cargo Insurance, Liability Insurance and Garage Policy. Always keep an eye on additional fees on payments or cargo handling. It is crucial that you are aware about the payments you are making and the car shipping cost that results from your move. Every company is different, some may ask for payment upfront, others may just ask for a deposit. Making full payment ensures your spot in their trucks. Get confirmation by emails; do not rely solely on verbal promises made by your shipping company. The deposit amount paid is very important. This is what the auto broker gets for moving the vehicle. Some car shipping companies cover this with car shipping cost and some companies carry it over as extra cost. Make arrangements to ship your vehicle at least one month in advanced, if possible. Confirm with the auto transport company and check if there is any missing information or detail required at least two weeks before the pick-up date. It is a good idea to ask the shipping company for daily updates. 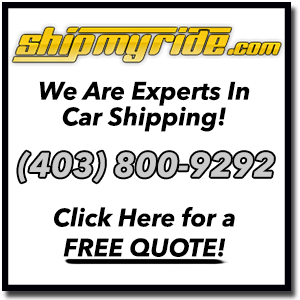 If you are shipping to Canada and you are looking for auto moving reviews you can check our section for car moving reviews to see other customers experiences with moving companies.